An herbed Dutch baby with a creamy mushroom-leek filling makes a hearty lunch. Dutch babies are the perfect canvas for all kinds of accompaniments, and hearty toppings make them into full meals. 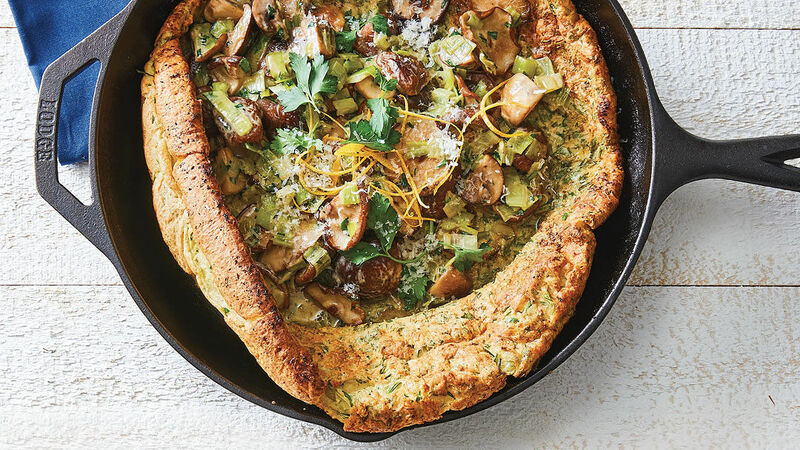 The batter for this Dutch baby is loaded with chopped fresh herbs, and the pancake is piled high with a rich mixture of mushrooms and leeks. Position a rack in the center of the oven, and heat the oven to 425°F. In a large bowl, whisk the eggs, flour, milk, and salt. Over medium heat, melt the butter in a large (12-inch) oven-safe skillet, such as cast iron. Whisk the parsley, chives, dill, and thyme into the batter. Pour the batter into the hot skillet, and transfer to the oven. Bake until the pancake puffs up around the edge and turns golden-brown, 20 to 25 minutes. Meanwhile, in a large skillet, heat the butter and oil over medium heat. Add the leeks and mushrooms, and cook until the mushrooms are tender, 8 to 10 minutes. Season with salt and pepper, and then stir in the cream. 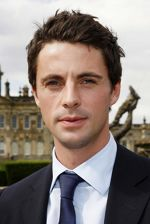 Bring to a simmer, and cook until the mixture thickens, 4 to 5 minutes. Stir in the parsley and cheese. Remove the Dutch baby from the oven; it will begin to deflate shortly after it comes out. Top immediately with the mushroom-leek mixture. Garnish with additional parsley, cheese, and the lemon zest. Serve immediately. The flavors here are very nice and the overall dish is quite attractive, though ours didn't go high up on the sides like other dutch baby recipes have. Before serving, I dotted it with goat cheese. Yummy! Just made this tonight. I grew up with popovers and Yorkshire pudding so this was a “must make”. It did look quite “pregnant” all puffed up in the oven. :) Only wish I could have posted a pic. It was YUMMY.